Mooloolaba's famous Seafood lunch cruise, A Sunshine Coast tour not to be missed! Fresh seafood, fully licensed, entertaining commentary and the best views in town! Simplicity is the key to our seafood lunch cruise. 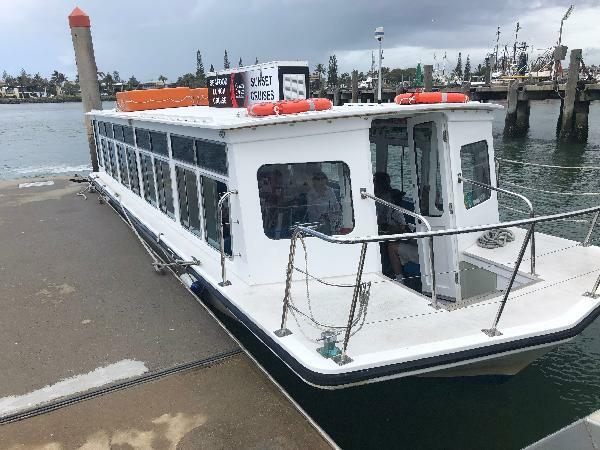 Based at 'The Wharf' Mooloolaba Coastal Cruises is centrally located in the heart of the Sunshine Coast. All meals are collected direct from the waterfront seafood market at the Mooloolaba Spit, known to offer the freshest seafood on the Coast. Offering a fully licensed bar, comfortable booth-seating and entertaining commentary on board. Sit back, relax and enjoy the multi-million dollars views while enjoying the freshest seafood the Sunshine Coast has to offer. Coastal Cruises requires a minimum of 8 guest to run. In case of low numbers, an alternative time slot or refund will be offered. It was perfect! Me & my parents enjoyed it on a Tuesday cruise at 1pm. The skipper was very knowledgeable & entertaining, his assistant was very attentive to our needs. The lunches were in good portions & freshly picked from a quick stopover in the market. This cruise is a must do in Mooloolaba! Staff were amazing, boat was spotless, food was delicious. Weather was ok but did not dampen the experience 😀😀😀 will definitely do the sunset cruise next. 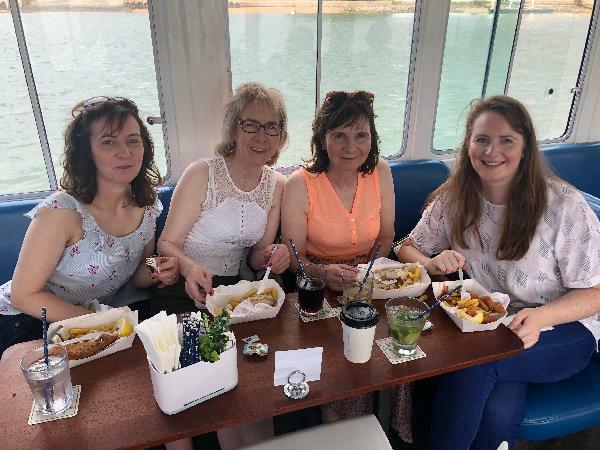 We thoroughly enjoyed our seafood cruise lunch. We loved our lunch cruise of the mooloolaba river and canals. The lunch was great and the guide was enjoyable. We took the in-laws visiting from NZ and they loved it. A lovely relaxing way to spend a couple of hours and we would recommend to anyone. Your message has been sent to Seafood Lunch Cruise - Mooloolaba . You should hear from them shortly. Please note: all responses will come directly from Seafood Lunch Cruise - Mooloolaba , and not the team at Bookme.